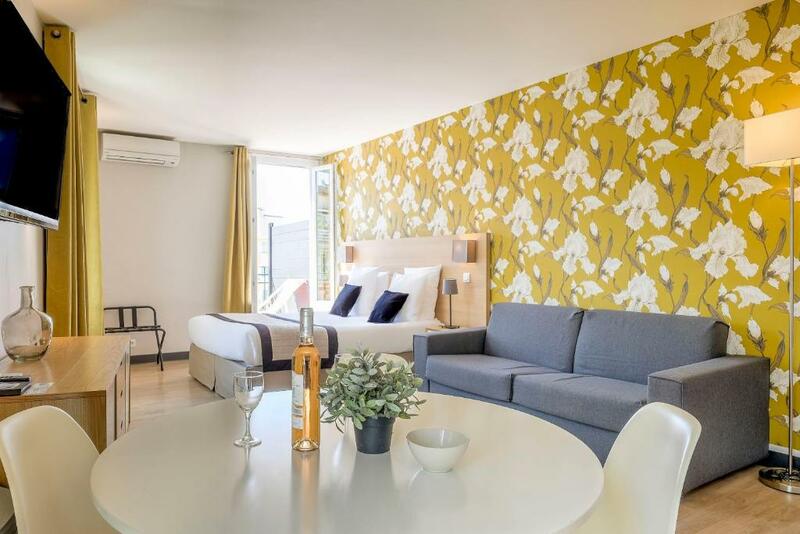 Lock in a great price for Apart'hotel Ajoupa – rated 8.8 by recent guests! 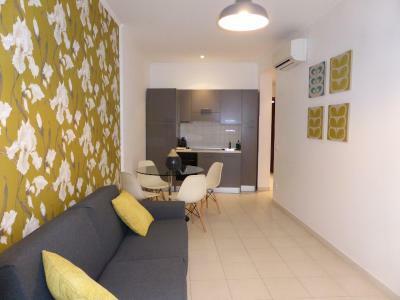 It is not expensive and it is located at a really great place , you have everything nearby. The location was great! Lots of shopping and restaurants. Staff was very nice and helpful. 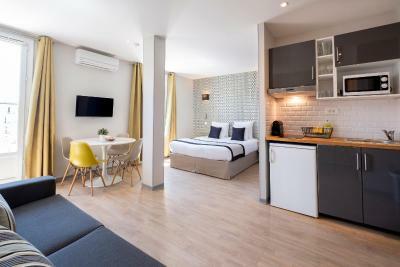 Clean and perfect for a two night stay! 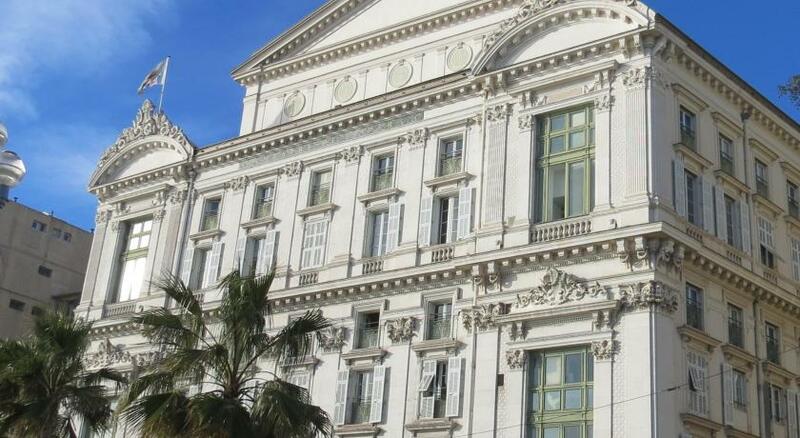 Perfect location in the city center and very close to the promenade. We really appreciate the equipped kitchenette. Staff is very friendly and helpful, provided us good recommendations. It is in between Massena square and Jean Medicine so it is at the hearth of the city. We were able to walk almost everywhere. The room was so clean. Recommended! The facilities of kitchen are really useful, various. Right downtown. There’s an airport bus stop nearby. Soon the trolley to the airport will be operating, making the trip even easier. Convenient, clean, very good value, with helpful staff. 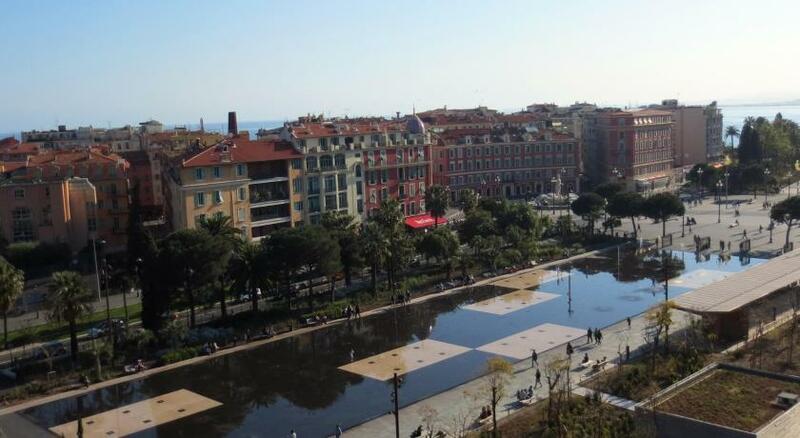 The location was spectacular, a very lively sector of Nice alongside the Espace Massena. We were a little more than an hour late arriving, and the clerk remained beyond her usual quitting time to welcome us. Breakfast was at a small café across the street. It was a sparse but satisfactory continental breakfast of coffee, fresh squeezed orange juice, and croissant. 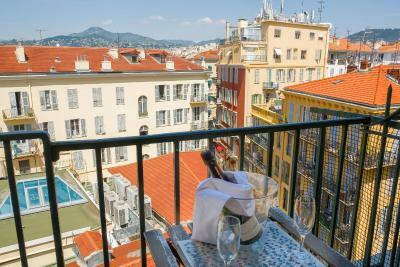 One of our best sellers in Nice! 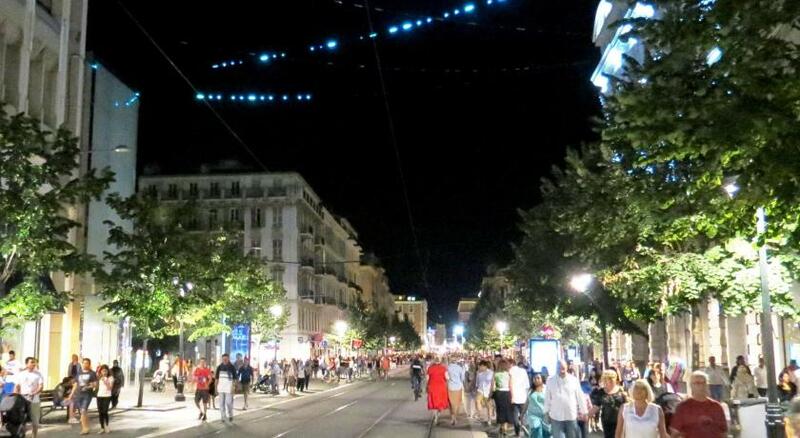 This apart'hotel is located in a lively pedestrian zone in Nice, 650 feet from Place Masséna, and only a 3-minute walk from the beach and the famous Promenade des Anglais. 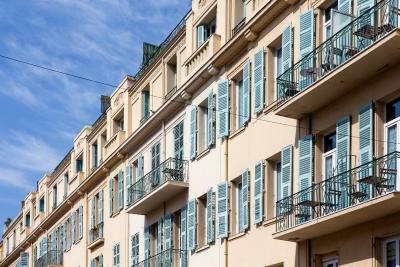 The nonsmoking studios and apartments are air-conditioned and soundproofed. 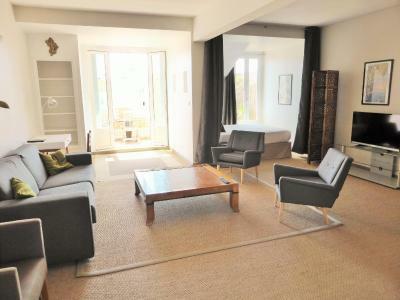 They have double glazed windows, a fully equipped kitchenette, TV and a private bathroom. Guests have WiFi access in the studio free of charge, or free internet connection on the computer at reception. 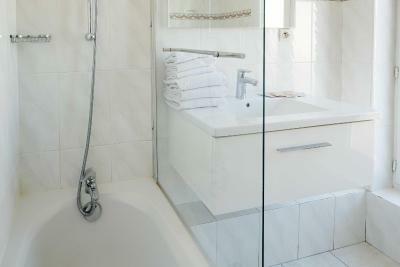 Bed linen, towels and weekly cleaning are included. Breakfast is available upon reservation and is served from 08:00 to 12:00 every morning in the studios or apartments. 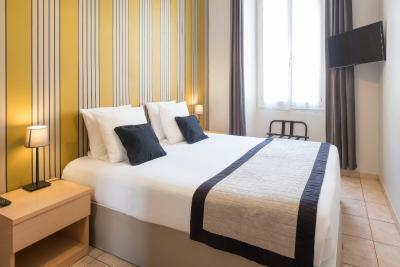 Appart'hôtel Ajoupa is in the heart of the city and many restaurants and shops can be found nearby. The old town is 5-minutes to walk from Ajoupa. The nearest public car park is located 350 feet from the hotel. Just 1,500 feet from the property guests will find the No.98 bus stop that runs to the airport. 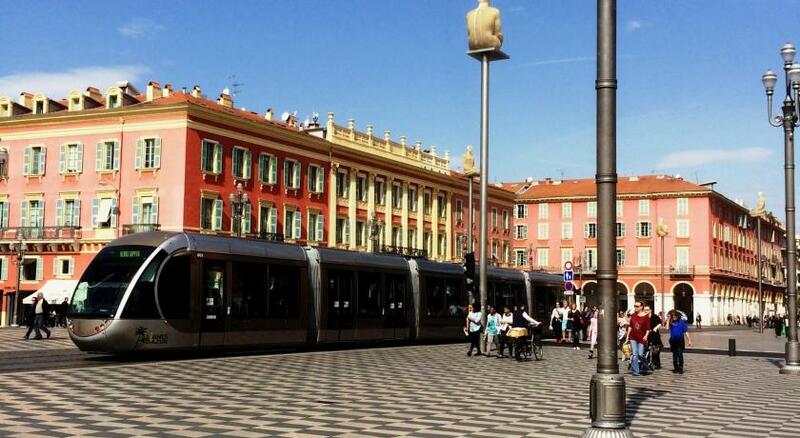 The hotel is a 15-minute walk from Nice Ville Train Station and the nearest tramway stop is just 350 feet away. 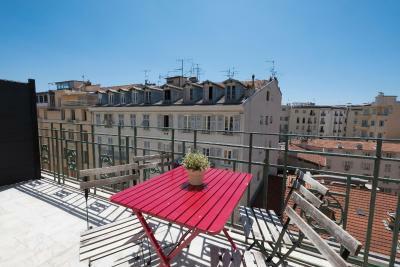 This property also has one of the top-rated locations in Nice! Guests are happier about it compared to other properties in the area. When would you like to stay at Apart'hotel Ajoupa? 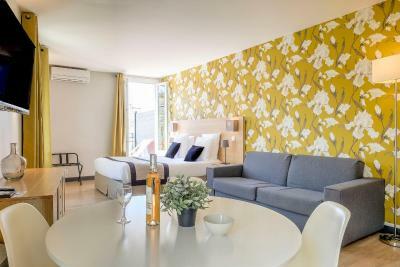 This Standard Double Studio is air-conditioned and has a TV and a fully equipped kitchenette with a Nespresso coffee machine. Please note this studio cannot accommodate extra beds. Please note that this studio may be located in an annex building. All studios have a kitchenette and a TV. They also have air conditioning. 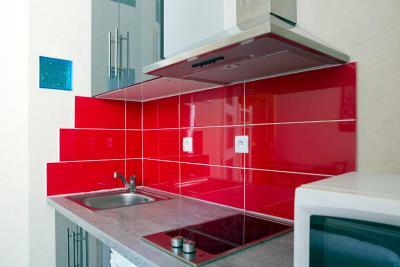 All one-bedroom apartments have a fully equipped kitchenette and a TV. They also have air conditioning. Please note that this apartment may be located in an annex building. 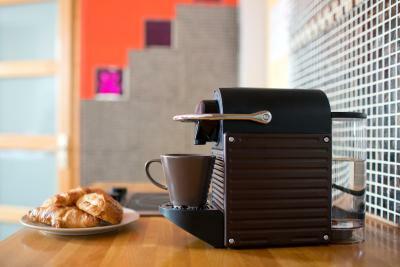 All studios have a TV and a fully equipped kitchenette with a Nespresso coffee machine. They also have air conditioning. These air-conditioned Superior Twin and Double Studios are either located in the main building or in the building next-door. 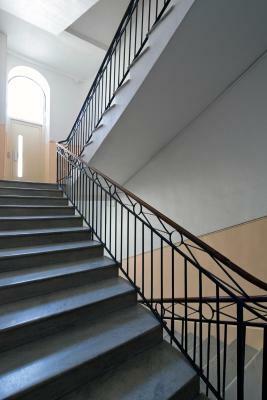 Studios in the building next door are larger and located on the 2nd floor, without a elevator. 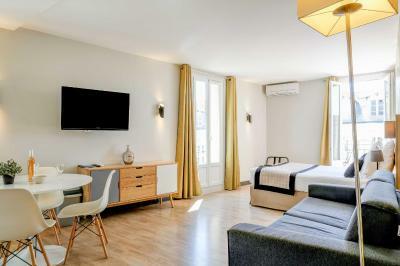 All have a TV and a fully equipped kitchenette with a Nespresso coffee machine. Twin beds are available upon request. This apartment features a soundproofing, dining area and electric kettle. 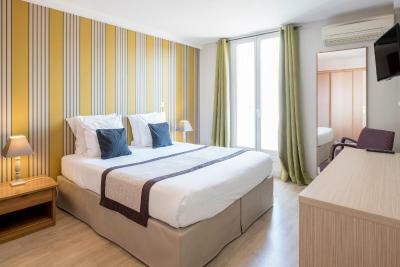 Choose Ajoupa for its warm and efficient service (cf guest satisfaction scores on all websites! 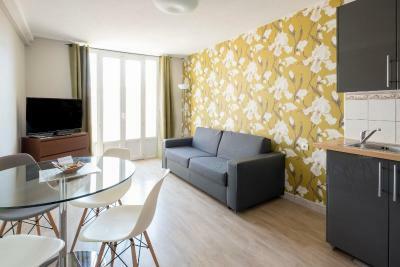 ), its excellent location (50 from Place Massena, 3mn from seaside or old town) and its fully equipped studios and apartment with hotel services. House Rules Apart'hotel Ajoupa takes special requests – add in the next step! A EUR150 damage deposit is required on arrival (around USD168.11). This deposit will be fully refunded at check-out, as long as there isn't any damage to the property. Apart&#39;hotel Ajoupa accepts these cards and reserves the right to temporarily hold an amount prior to arrival. Apart'hotel Ajoupa accepts these cards and reserves the right to temporarily hold an amount prior to arrival. If you plan to arrive after 18:00 please inform the aparthotel in the request section on the reservation page. 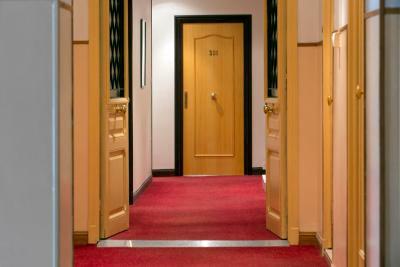 Guests are kindly requested to inform the aparthotel of their arrival time and flight number. The hotel does not offer a car park. Access by car to the pedestrian street is not allowed. Please note that the public parking located 350 feet away is not accessible for vehicles higher than 1m80. Please note that for arrivals after 19:00, the aparthotel provides the code of the key box where you can find the keys. The Apart-Hotel is serviced by an elevator. Please note, however, that it stops between floors, meaning you have to climb or go down ten steps in order to reach your floor. Please note that the property only accepts pets weighing 4 kg or less. Please note that different policies apply when booking 5 rooms or more. 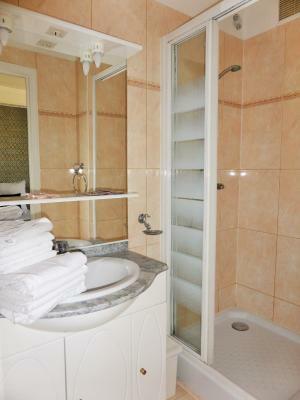 Bed linen, towels and weekly cleaning are included. Guests are required to clean the kitchenette before departure. Please note that breakfast must be reserved at least 24 hours in advance. A damage deposit of EUR 150 is required on arrival. That's about 168.11USD. You should be reimbursed on check-out. Please inform Apart'hotel Ajoupa of your expected arrival time in advance. You can use the Special Requests box when booking, or contact the property directly using the contact details in your confirmation. I spent 2 days in a nice room well equipped, absolutely clean! 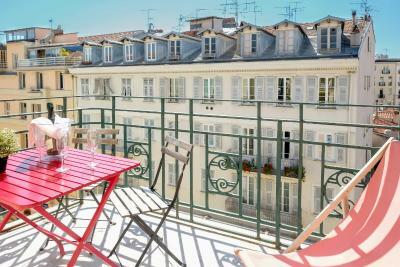 The position is awesome: it is situated in rue Massena, the heart of “Carré d’Or”, 2 minutes walking from Promenades des Anglais. The staff is really kind. What else? My experience was great, so I surely will come back again chez Ajoupa! Merci! Super location, friendly personnel, comfortable bed, everything great👍! No counter space in the bathroom, shower is not enclosed so no where to lay out your clothes or get dressed without everything getting wet. Nice pictures on booking !!!!! WiFi could have been faster. Reception on 5th floor- lots of stairs. They do have a lift but was very small. Keep in mind if not as mobile. 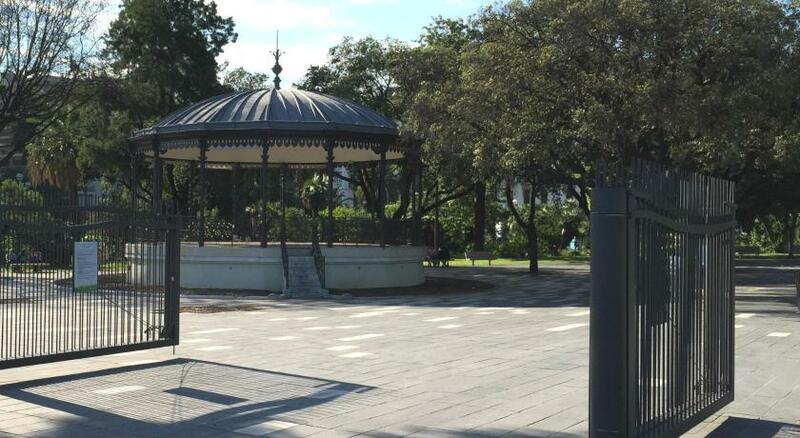 Was a great location, walking distance to the train station, the old town and water front. Supermarkets and chemist nearby. Spacious apartment perfect for short stay, had fridge and microwave etc. Staff happy to give some tips of places to go and maps too. How noisy the property was - everything felt very ‘thin’ - we could hear everything from the other rooms. 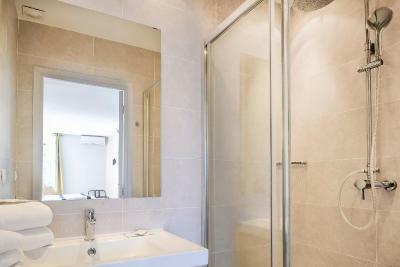 The bathroom is stupidly small - I’m not sure why a little more space hasn’t been added to the room, even if it’s a studio? The bathroom smelt of urine. The shower head was broken, as was the door to the cabinet. The room wasn’t cleaned the entire 3 days that we were there - including towels. The staff were amazing, as was the location. The location was perfect.There are so many good restaurant and shops around the apartment. The king size bad was confortable and we slept very well. It is a little hard to find as the signs are not noticeable, if you don’t know what you are looking for. 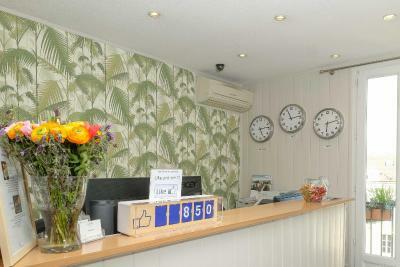 Perfect for what the room was needed for, nice and clean and very friendly staff. The location was excellent. 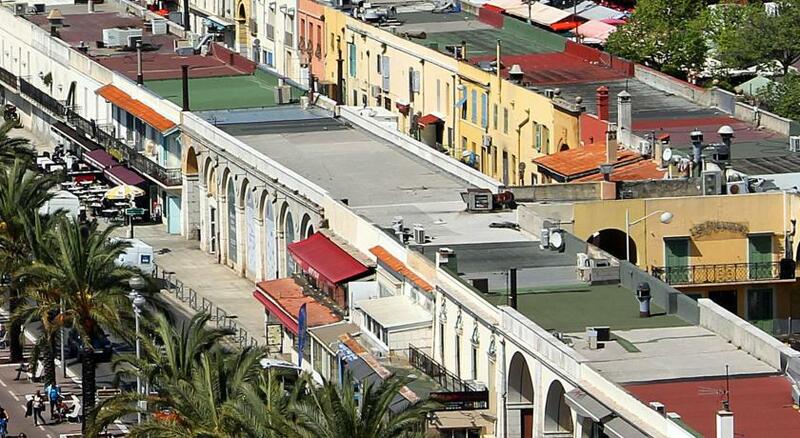 Within a few minutes walk of sea, shops, cafes, transport etc. This was my fourth visit and I shall certainly be returning for another one. The room smelled bad and I could hear everything from the other rooms, tv noise, conversations, people walking, the hotel needs some renovation.